"COCONUT BROWNIE NESTS ARE BACK! ADORABLE AND DELICIOUS! CLICK ON GIFTS TO ORDER!" 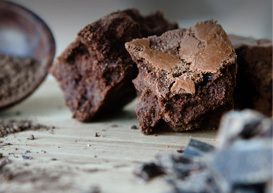 A Blissful Brownie signature, created from the original recipe I developed as a child in my mother’s kitchen. Fudgy, not cakey; rich in chocolate flavor, and loaded with chocolate chunks. 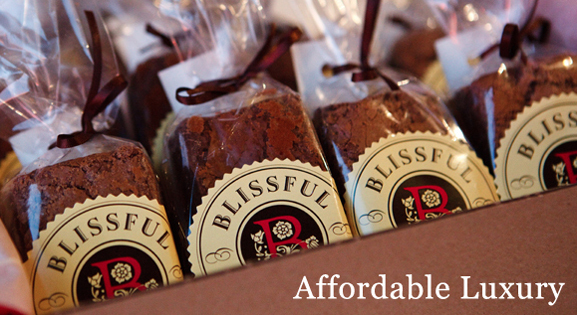 A sizable treat for serious brownie lovers. 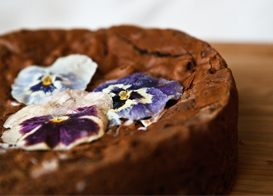 This eight-inch round brownie cake topped with sugared pansies is the answer to any chocolate lover’s prayers. Luscious lemon topping on a shortbread crust. 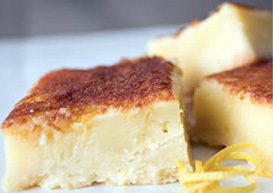 Very lemony, very zesty, very luscious and very buttery. A little something different from chocolate…just for fun.